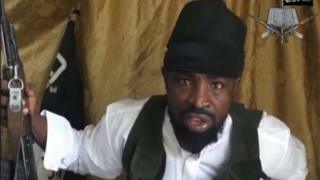 "Boko Haram is decapitated. There are little groups [of fighters] scattered throughout east Nigeria, on border with Cameroon. It is within our power to definitely overcome Boko Haram," said Mr Deby said, who added that he would not recommend that Nigeria negotiate with "a terrorist".